1. First Turn editing on in the upper right corner of your course’s homepage. 2. 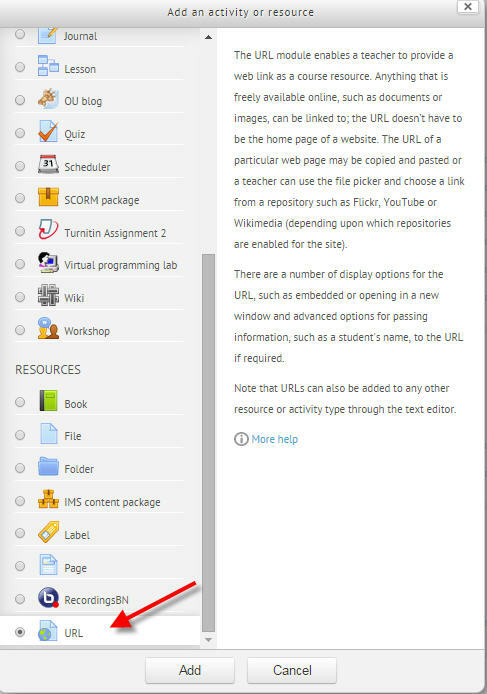 In the week/topic in which you would like a link to your website to appear, click the Add an activity or resource drop-down menu, and select URL. 3. Enter the name that you would like to appear for your website link. 4. Enter the website URL in space provided under Content. 5. Select how you would like the URL to display using the drop-down menu. 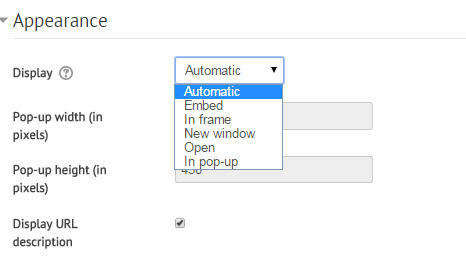 (Most common is New Window or Embed). 6. Click the Save and return to course button at bottom of the page. 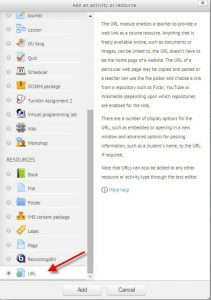 A link to your website will now be on your course homepage.